This 70 hour course prepares the student for employment as an Occupationa First Aid Attendant. 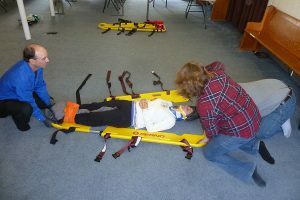 The student will learn advanced lifesaving techniques as well as becoming fast and efficient to prepare a patient for transport to medical aid (including helicopter transport). 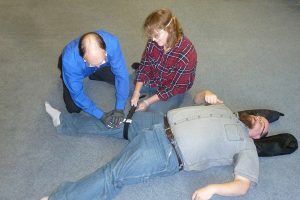 They will learn to objectively record observed or reported signs and symptoms of injuries, and refer for medical treatment workers with injuries considered by the first aid attendant as being serious or beyond the scope of the attendant’s training.